No Limits Disc Jockey Service was founded by Michael Hernandez. His love of music started at a young age. Michael started his professional career as a Disc Jockey at the age of 8. Since then it's been more then a Job 'its a Passion." Michael Joined the "Rob Pacheco Kazoo Band" in 1993 and has since started his very own "Mike and the Three Maracas." When planning a party, wedding, or any event, one of the most important elements is the entertainment. A Disc Jockey can be one of the best ways to entertain your guests. 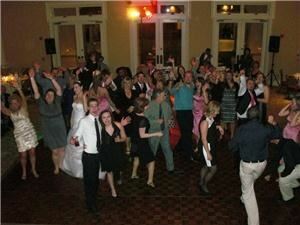 The right DJ can really make your event come alive! DJs can provide entertainment that will keep your guests from leaving early and get them up and moving, dancing, mingling, and having fun. Your event can be customized with music ranging from romantic ballads to big band and swing to high-energy dance music and everything in between! But more than just music, the DJ is an emcee that will entertain and can keep the evening running smoothly with formal announcements and introductions.